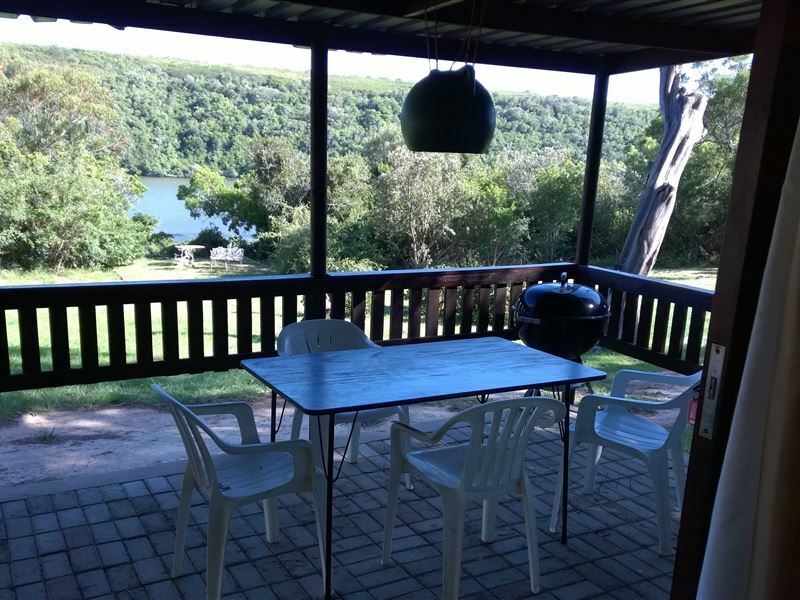 Situated along the banks of the Kromme River, The Cabin offers nature-lovers the ideal accommodation choice when visiting this scenic part of the Eastern Cape.<br /><br />This rustic cabin has one bedroom with a double and a private bathroom. 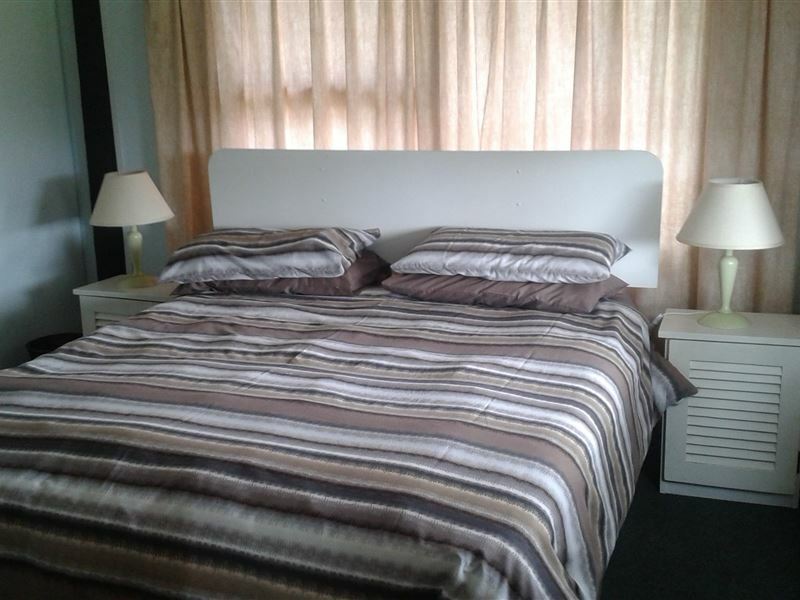 There is also an open-plan living area which consists of a comfortable lounge with a double bunk. 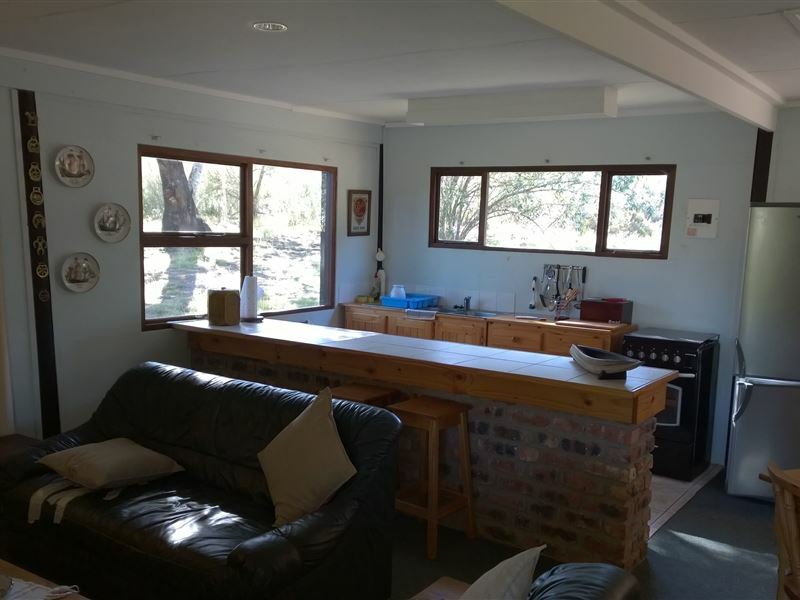 The well-equipped kitchenette is ideal for all of your self-catering needs, and meals can be enjoyed in the dining area.<br /><br />Guests can spend their days exploring this wooded area by taking nature walks or by spending time at the river. 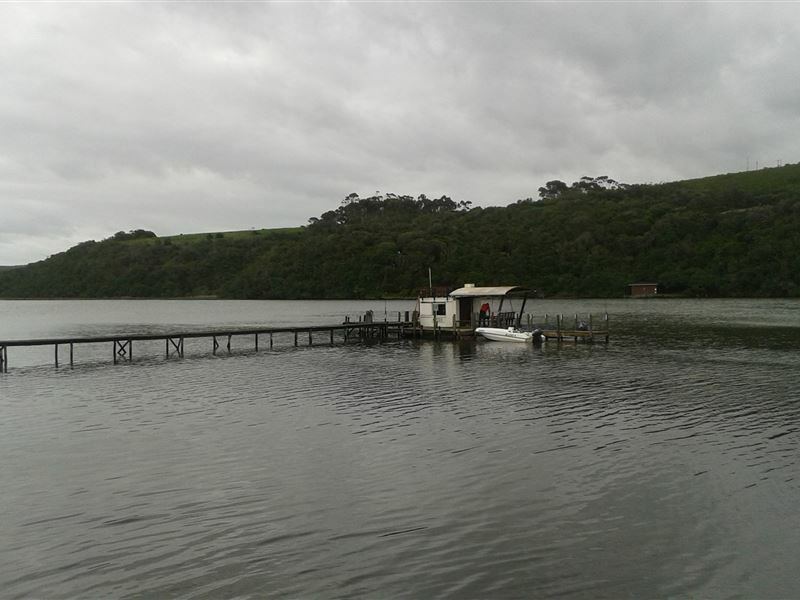 Avid fishermen can spend their days on the river banks enjoying the weather and catching their supper.<br /><br />The coastal town of St Francis Bay is just a short drive away and guests will be able to enjoy the beach, or visit the many shops and restaurants on offer. 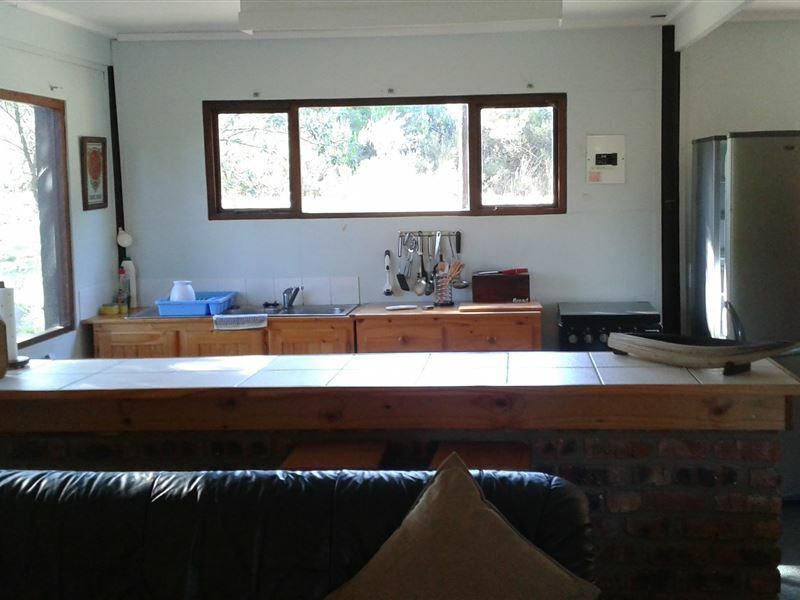 Return to the tranquillity of the cabin to enjoy a braai while relaxing on the patio. 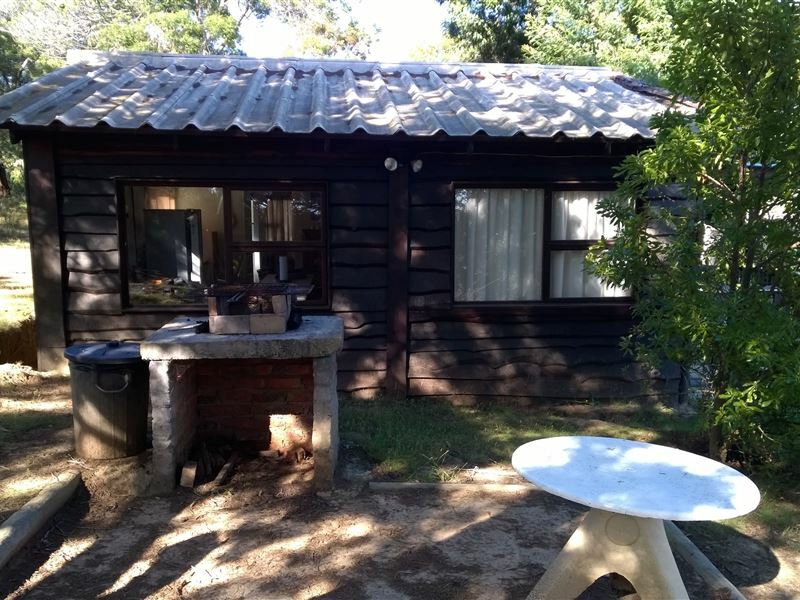 "We thoroughly enjoyed our stay at The Cabin. What a perfect way to unwind and take a total break from city life! Tranquil surroundings, beautiful nature makes for a peaceful experience. 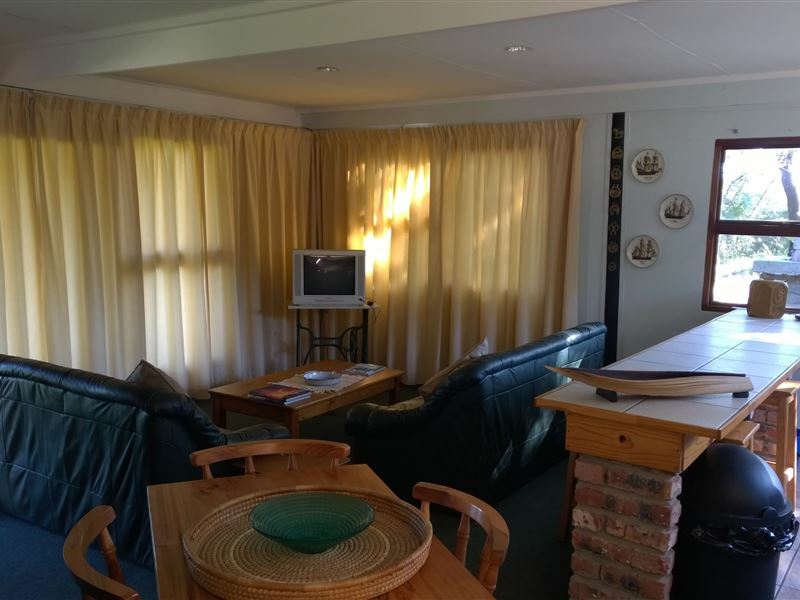 Thanks to our friendly hosts for an unforgettable holiday." 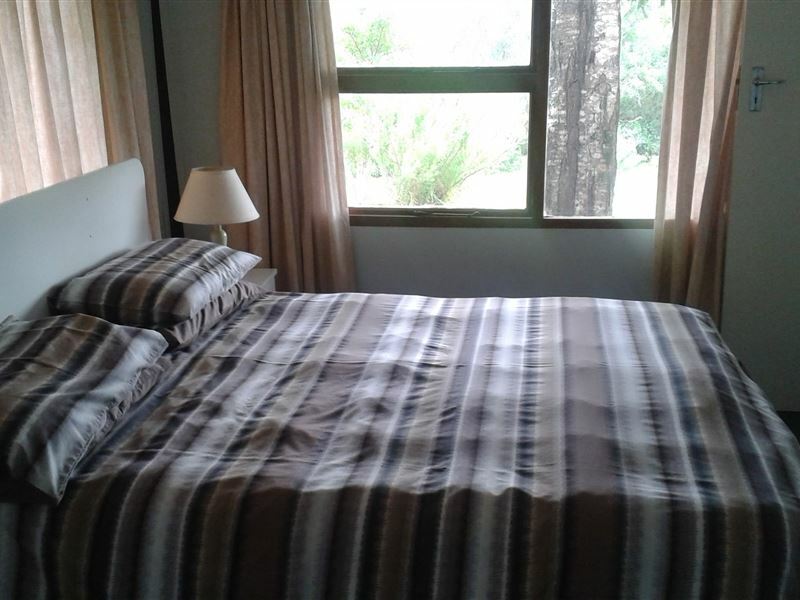 "Was very happy with our chalet for the 3 days we were there.Its a bit of a drive off of the tar roads, about 15km, so make sure you bring enough of everything with you to save driving back into town.Once you&apos;re there, you&apos;ll be glad you stocked up because you wont want to waste any time driving anywhere.The location is brilliant. 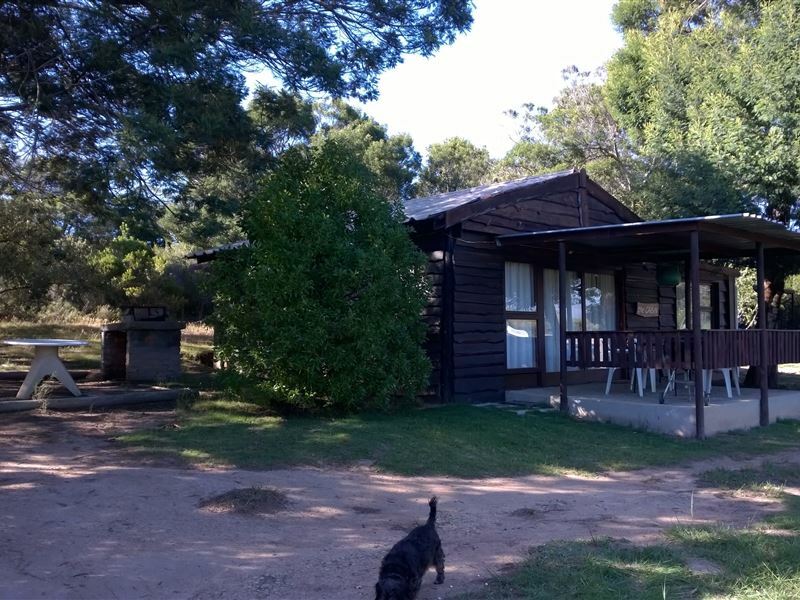 Just a short walk from the river where there is a private jetty with mooring possibilities for those of you with boats.Peter and his wife were very welcoming and helpful.The river is brilliant for fishing and prawns are easily pumped on the banks of the river.The accommodation is good with a double bed and a bunk bed in the lounge room.Hot water is gas so no problem with load shedding there!Overall a very happy stay and i will definitely be back in the future.4/5 :)"